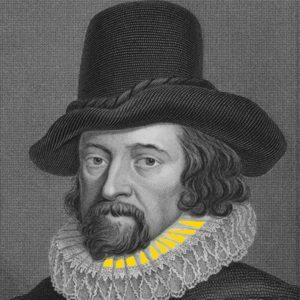 We are inspired by the English stateman, scientist and philosopher, Sir Francis Bacon (1561-1626). A counsellor to Queen Elisabeth I of England, he invented the aphorism “Knowledge is Power”. Some scholars believe he wrote the plays of William Shakespeare. Shakespeare is highly relevant to business even today, because he perfectly understood and described politics, power and organizations. As a master of investigation, Francis Bacon promoted inductive reasoning (from facts to laws), in opposition to the Aristotelian line of reasoning. He invented a methodical Intelligence Process Cycle in his book “The New Atlantis”. Explorers who brought valuable information he called “Merchants of Light“. He also invented cryptographic methods for preserving secrecy.